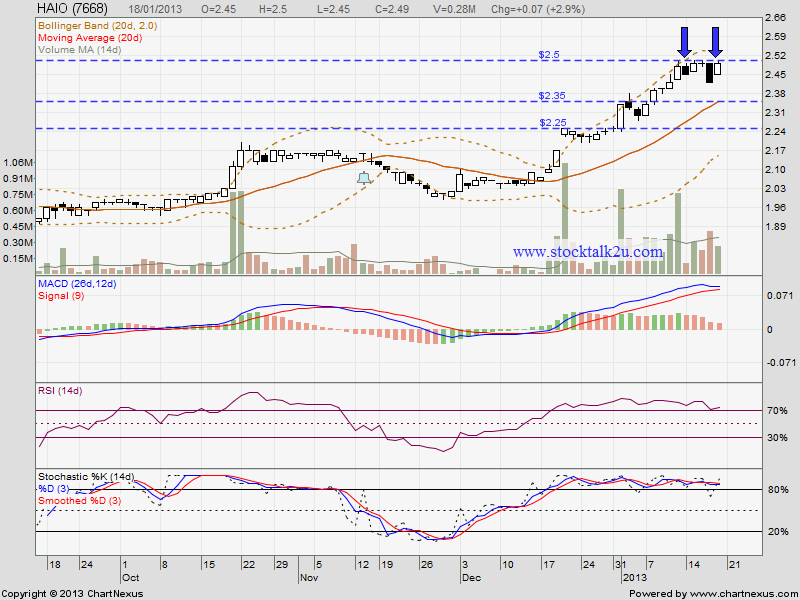 HAIO keep retest RM2.50 resistance level. Will it able break through? Immediate resistance @ RM2.50 level. 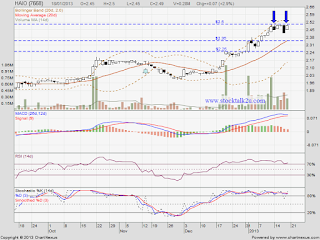 Immediate support @ MA20 level which is RM2.35 level. Subsequent support @ RM2.25 level. It's an entry opportunity if retrace down retest support level.